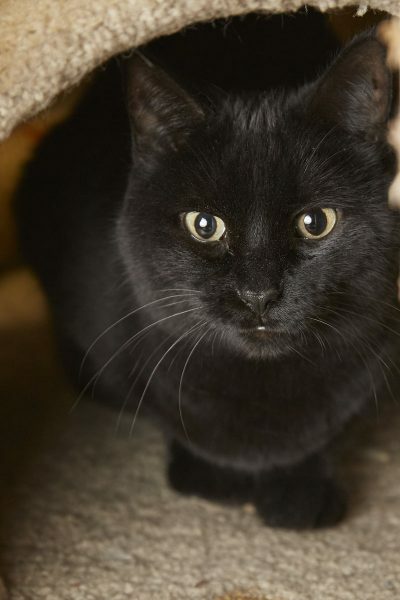 Meet Bacardi, a 6-year-old jet-black love bug who came to us after her owner passed away, This little girl is as loving and gentle as they come. Bacardi loves to receive pets of affection and will sidle right up to you for more attention. Plus she has a sleek black coat that is so soft and amazing green eyes. 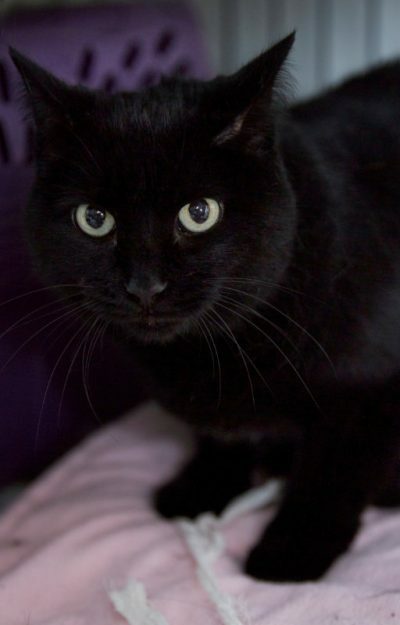 Bacardi will gently nudge you for pets, and once she is settled down, she is content to lay at your side. This darling will make a great companion kitty and is ready to find her new home. Contact our adoption staff at Cat Guardians about meeting this sweet lady today! 2018-01-02: Bacardi and Wanders rung in the New Year together, with a new home and family!